Coaching Inns were a vital piece of life from the mid 1200s. They acted as resting points for both private and public travellers. It was in these Inns that food, drink and a bed could be obtained, while the stablemen took care of the horses. From the mid 1700s they were also used by the Mail Coach. Central London had more than its fair share of Coaching Inns, but The George Inn is the last surviving one with the gallery, that led to the bedrooms. The George Inn, originally called The George and Dragon, was built sometime in the early 1500s, with a first mention of it dating to 1542. Following a fire, many of the buildings that made up the George Inn, were devastated and had to be rebuilt. The southern building, that survives today, was rebuilt in 1676. 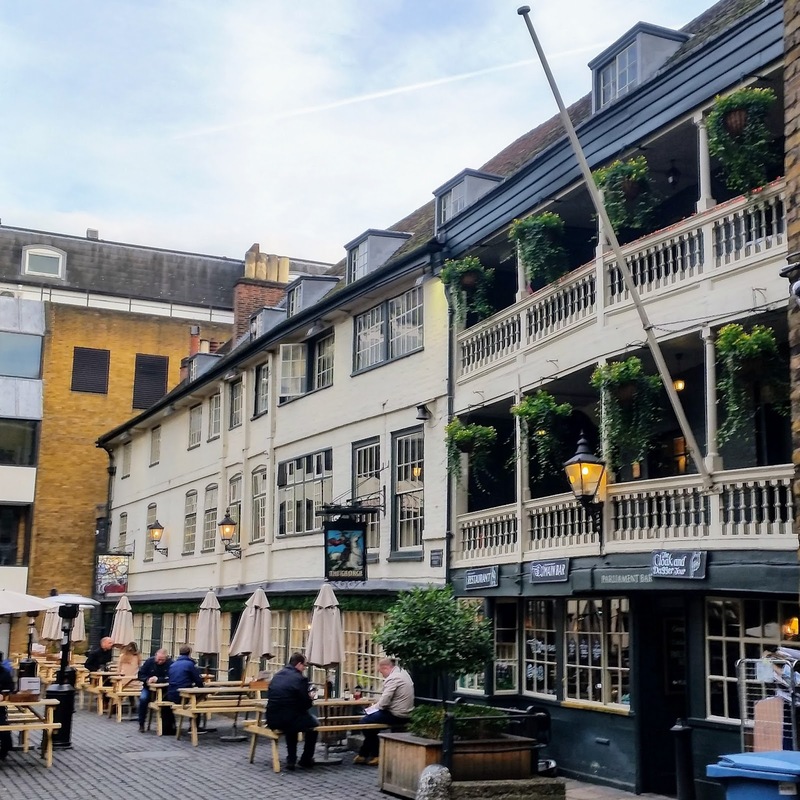 The George Inn flourished and it is thought that Elizabethan theatrical performances took place in the courtyard, with the audience, who payed a premium, stood in the galleries. In 1874 the northern range of buildings were pulled down, by the Great Northern Railway, to use as a depot and warehousing. Both William Shakespeare and Charles Dickens visited the Inn, with the latter mentioning The George Inn in his novel, Little Dorrit. Today The George Inn is run as a pub by The National Trust.